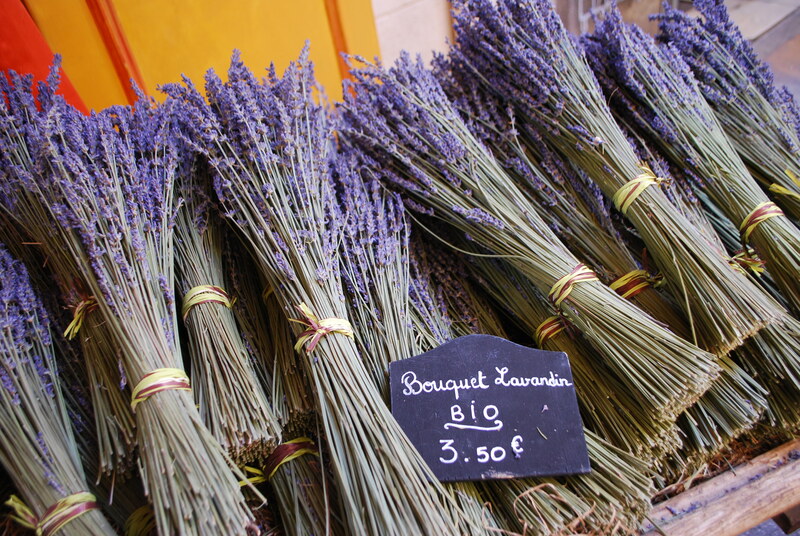 It’s clothes-stickingly humid in Washington, so no better time to remember some highlights of my (cool) spring trip to Europe. 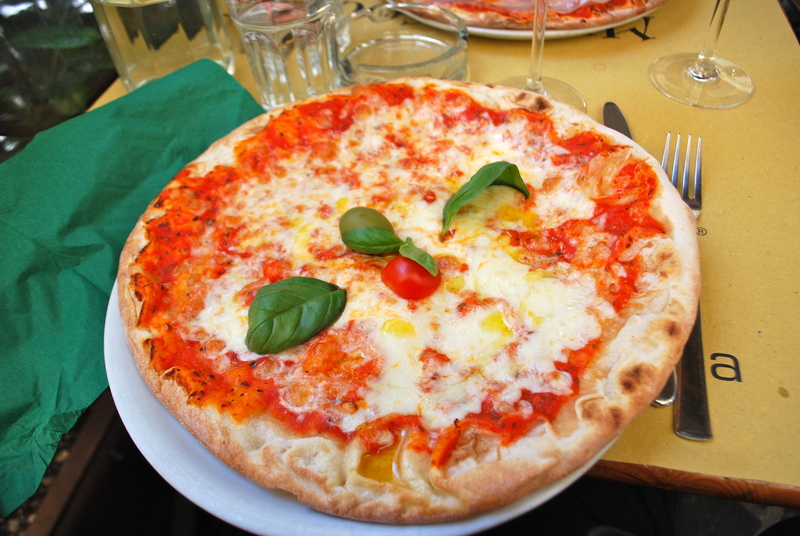 Brian and I started out in Rome, where we had just four days to pack in the highlights: Coliseum, Forum, Vatican, Pantheon, and of course eating lots of yummy Italian delicacies. 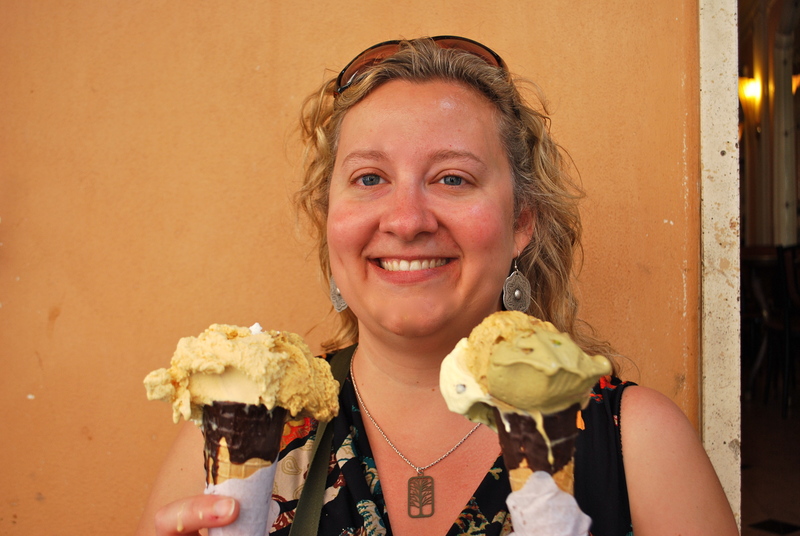 I’m proud to say we covered most Roman-tourist ground, eating the obligatory pizza, pasta, wine, and probably the best gelato I’ve ever had (heavenly pistachio). If you were a particularly skilled gladiator, you could be selected as the Emperor’s personal bodyguard. 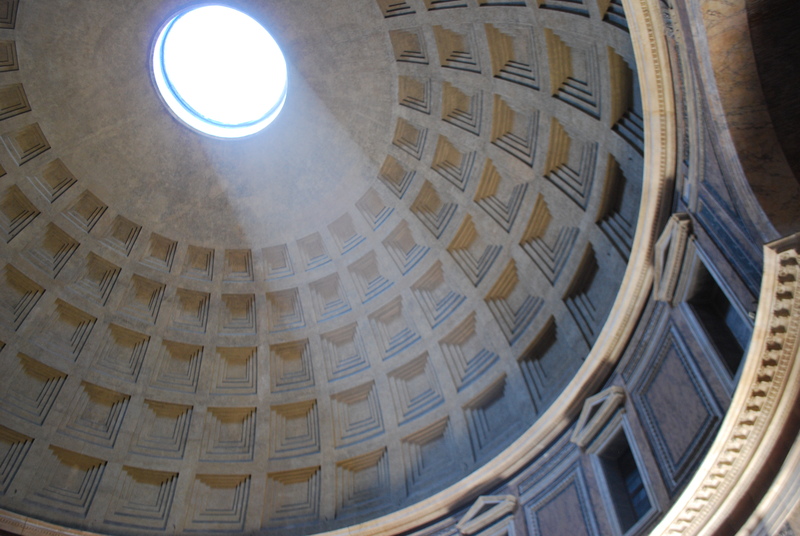 Also cool: Roman citizens were given free tickets to events at the Coliseum, which often served as a sort of PR stunts for emperors. 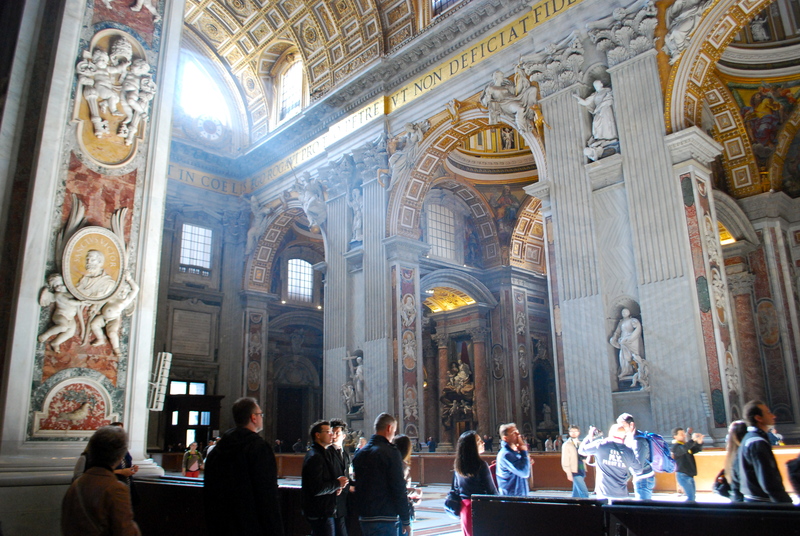 The Sistine Chapel was also worthy of its incredible reputation. We spent a lot of time resting our weary feet and studying “The Last Judgment.” My favorite section was where Michaelangelo had painted one of his critics with donkey ears and snakes covering his privates! Next stop was Paris. I’ve never been in springtime, but alas the weather was pretty much chilly and rainy. 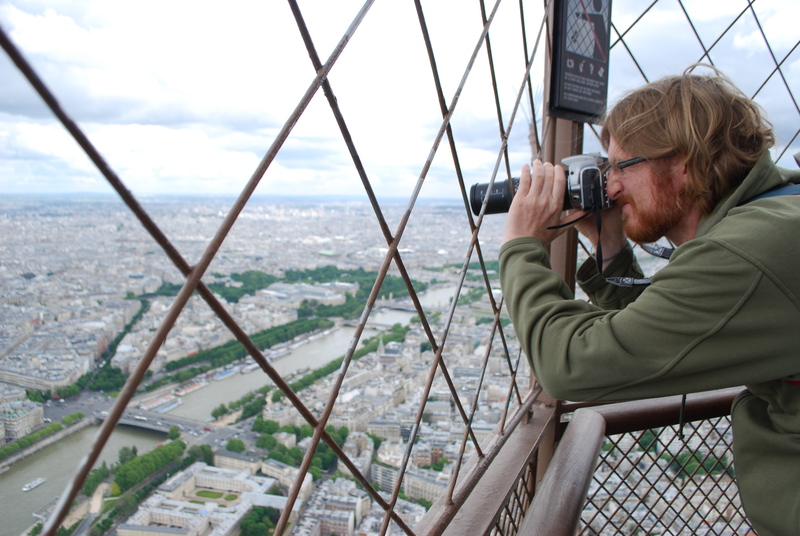 Even so it’s hard to put a damper on the City of Light, and we enjoyed brisk visits to the Eiffel Tower, Notre Dame, and the Catacombs. We also roamed a good bit of the Louvre and the Musee D’Orsay, the latter being the the repository for most of the Impressionist masters. I was happy to see some Cezanne works painted from Aix-en-Provence, the city where I studied abroad. 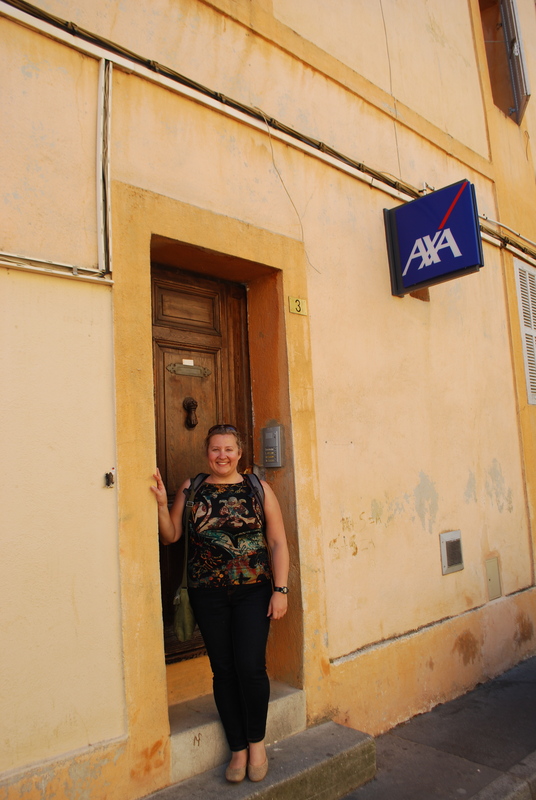 Speaking of Aix, I got to visit for a few hours on my last day (stopped there on a TGV train from Toulouse). I remembered my old apartment and haunts, and was surprised to discover that the walk to my university through the windy streets was nowhere near the uphill slog I remember! Maybe because that was before I really exercised. 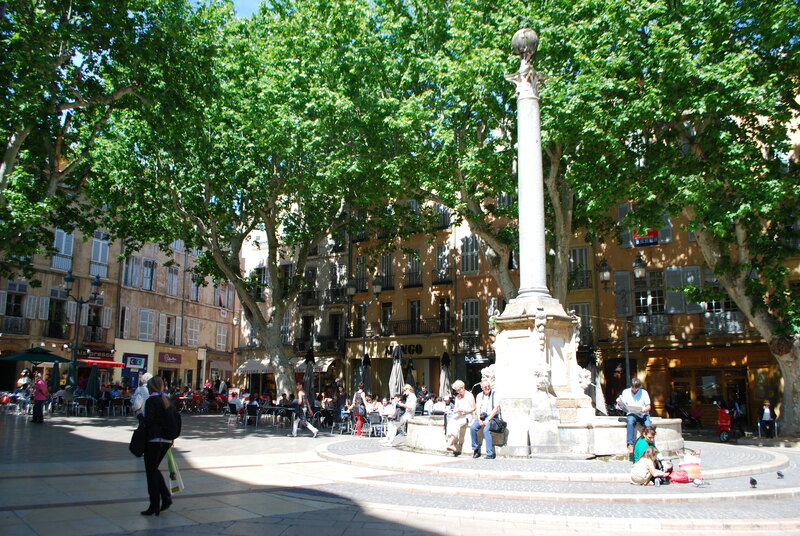 We also spent some time in Toulouse in southwestern France and Marseille, the city where my Dad lived until he came to the States at the age of 8. He showed us the apartment where he lived and the beach where he went after school in the summer. (Going to the beach sounded like a much more awesome afterschool activity than playing Mario Bros, which is what I usually did!) 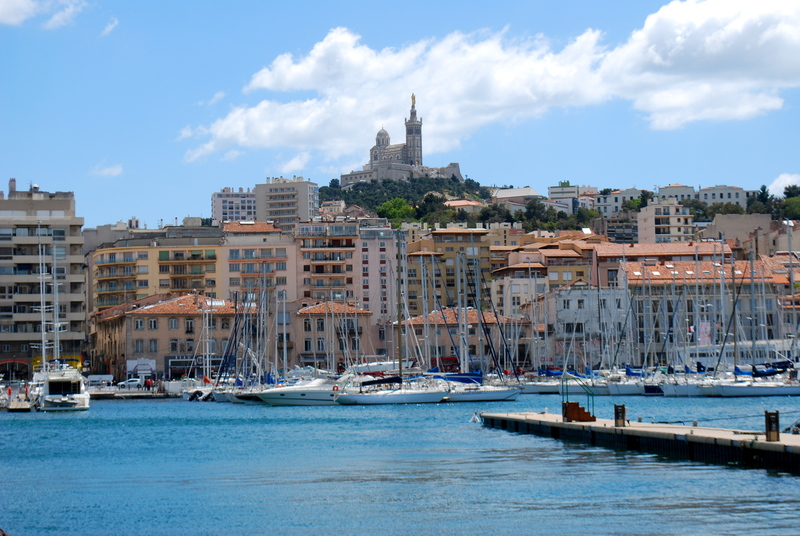 We only saw the touristy areas of Marseille, but I thought it was pretty, and the Mediterranean was gorgeous. Fellowship to Western Michigan: Sturgeon and Beer! Earlier this month I took part in an Institutes of Journalism & Natural Resources expedition along the Kalamazoo River in western Michigan. 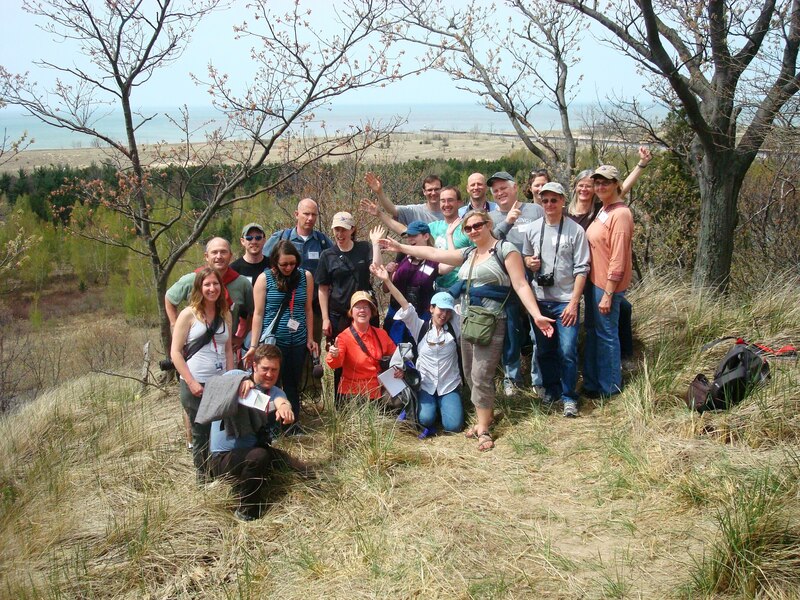 IJNR hosts a few fellowships a year in various places around the U.S. that face environmental challenges. 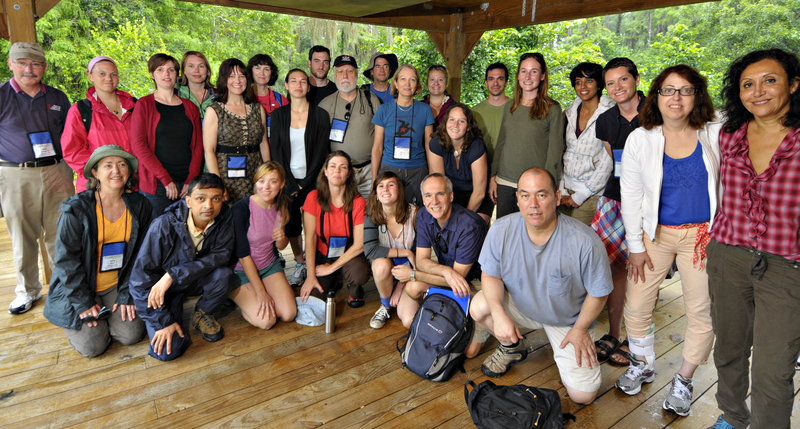 The 2013 Kalamazoo River fellows. Photograph by Talli Nauman. 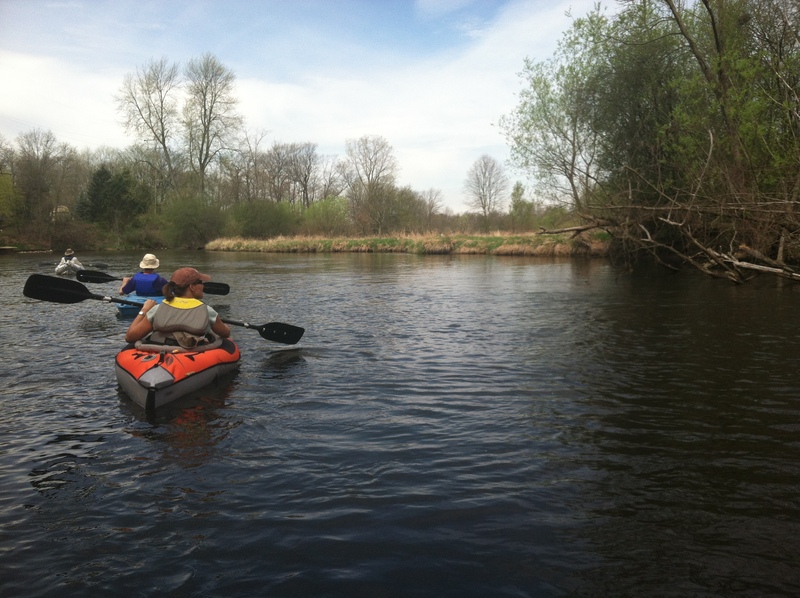 For this trip, we focused on the Kalamazoo River, the site of a 2010 oil spill and a victim of heavy PCB contamination due to the paper mills that once lined the river and polluted the waters. The river is still so polluted that pregnant women can’t eat a single fish out of some parts. It wasn’t all bad news, though. The fellows also learned about a reintroduction program for the prehistoric lake sturgeon (which has its skeleton on the outside of its body! ), and visited a streamside rearing facility where scientists are growing baby sturgeon to release them into the river. 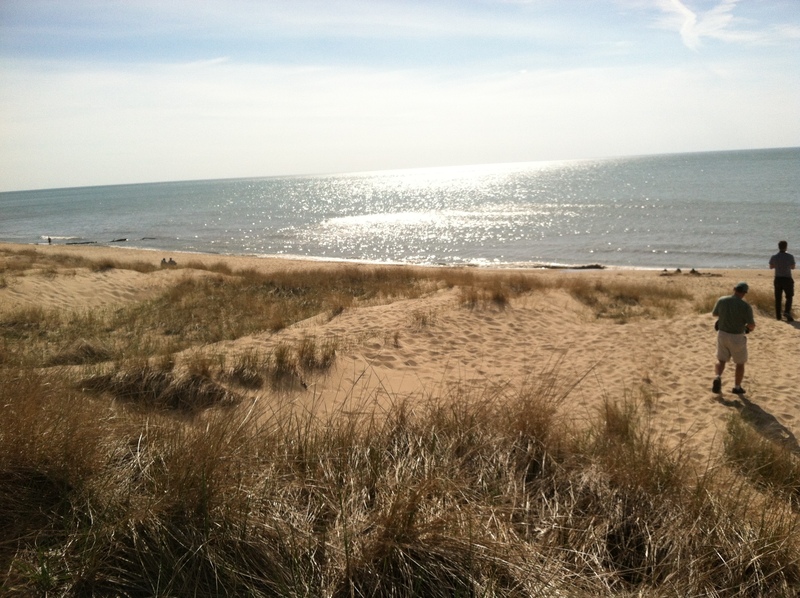 The beach on Lake Michigan in Saugatuck—looks like the ocean! One night we had dinner and beer at Arcadia Ales, a brewery in Battle Creek that’s also part of a new program called Brewers for Clean Water. 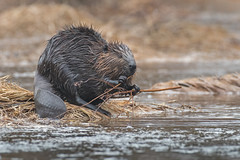 I wrote posts on these projects for National Geographic’s Water Currents blog. Speaking of blogs, Weird & Wild, the National Geographic blog I founded a few years ago, is doing great and getting lots of regular traffic. I’ve got three contributors, which enables me to keep the blog fresh with odd content almost every day. I’m glad that readers seem to share my love of the bizarre! 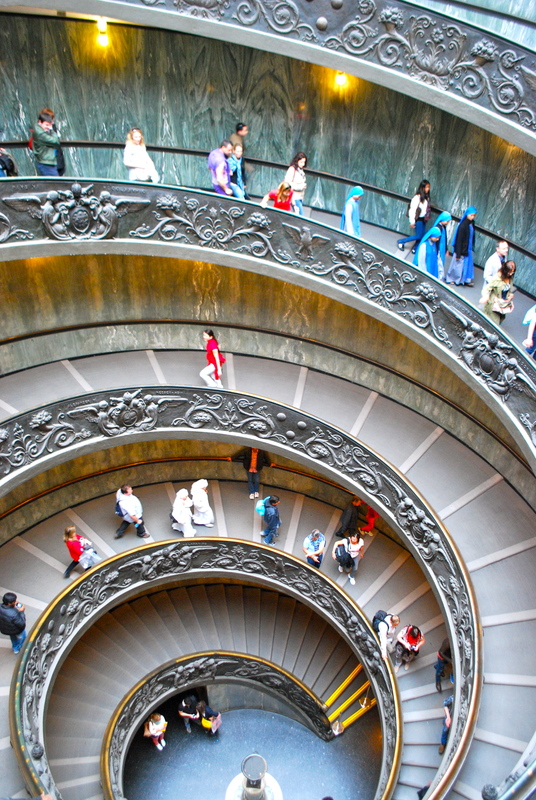 I’m going to Italy (Rome) and a few cities in France soon—will update with some hopefully gorgeous pictures of those countries when I get back. Ciao! 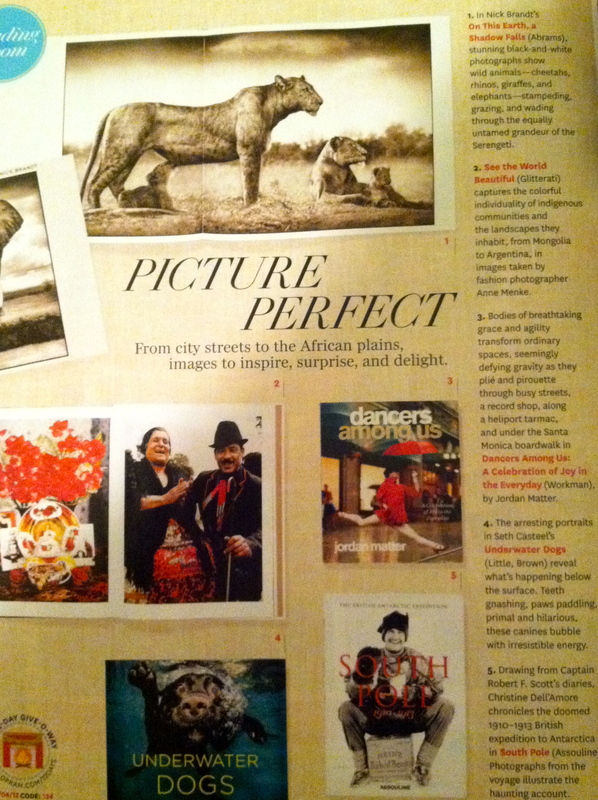 I got a lovely vacation surprise while in the wilds of Texas last week—I found out O Magazine has featured my book South Pole in their Favorite Reads of 2012 in the photography book category! 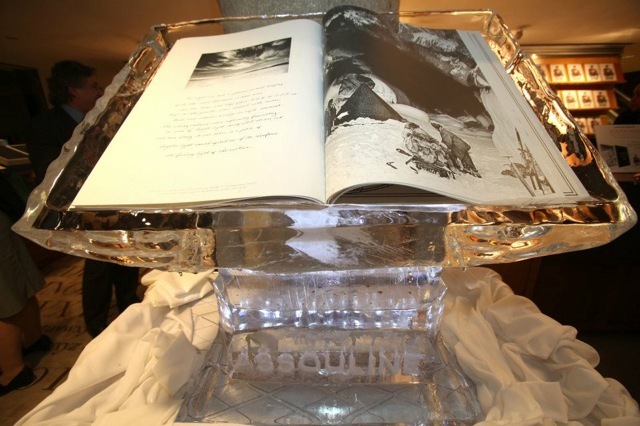 I had no idea the article was in the works, and neither did my publisher, Assouline. 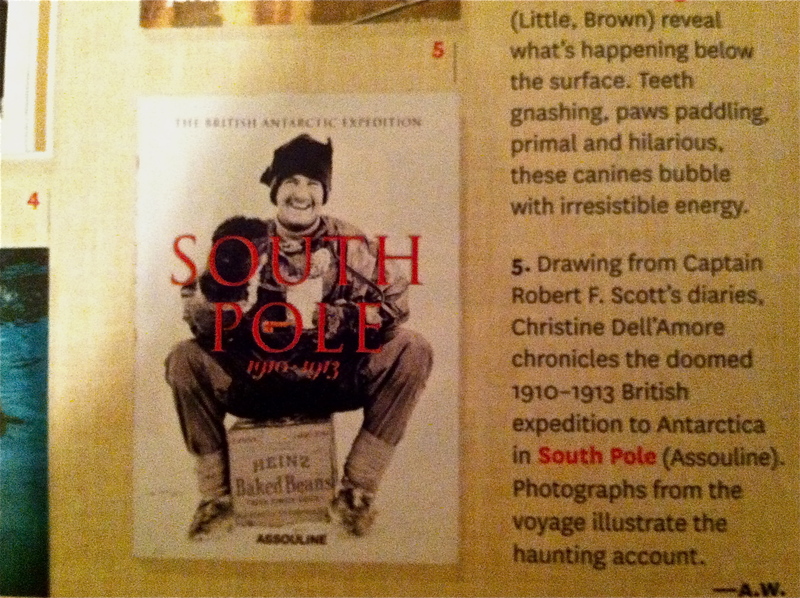 I’m happy that the book has gotten so much recognition, and I feel fortunate to have had the opportunity to learn so much about Antarctic history. I’m glad that my introduction to Korea was on Jeju, a small volcanic island about an hour’s flight south of Seoul. For one thing, it was gorgeous—people call it the Korean Hawaii, with its pretty coastlines and craggy coasts. 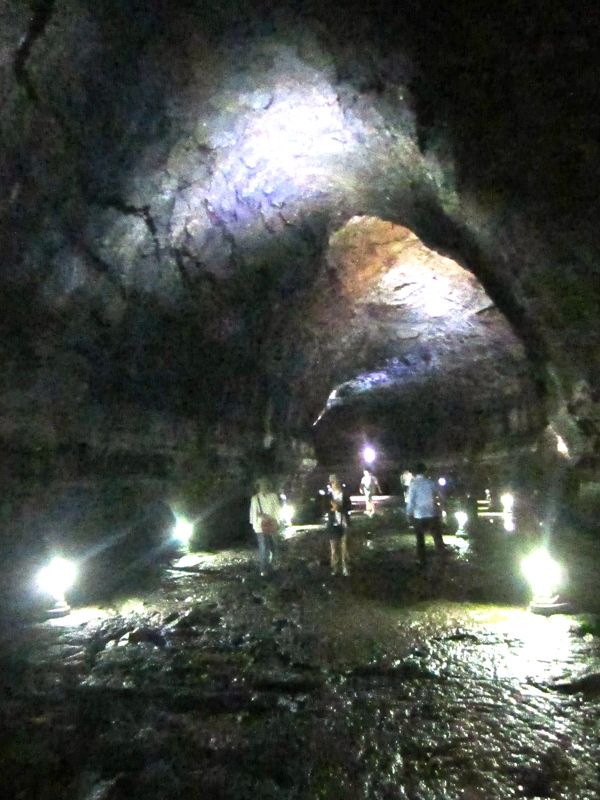 It also has some awesome natural wonders, including Asia’s longest asia tube, Manjanggul (below)—which I walked a mile of—and some volcanic craters that you can hike. 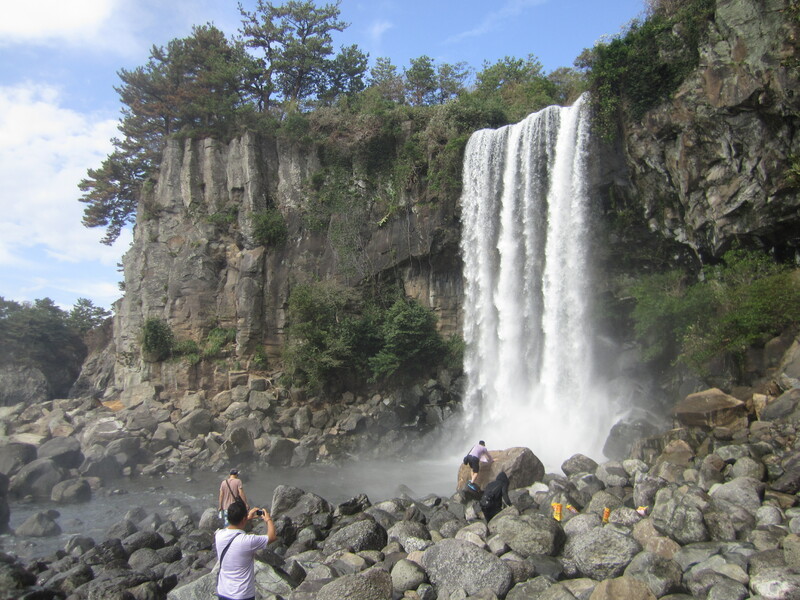 The above picture is of Jeongbang Waterfall. The convention center was the nicest I’ve worked in, with a view of the coast; a cafeteria with hearty, homemade Korean food; and a culture market, which gave visitors an idea of where they were. 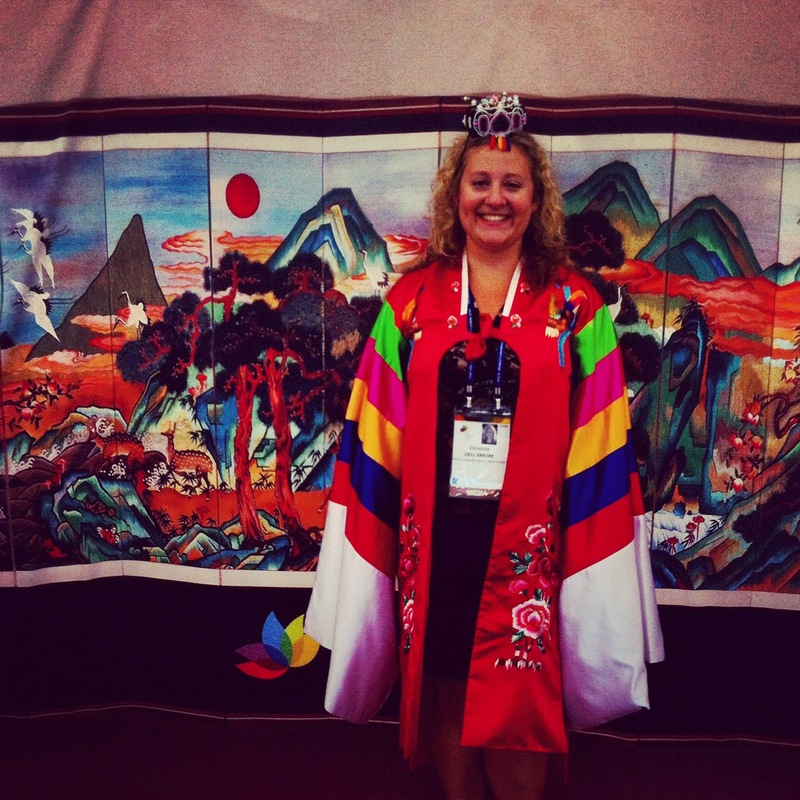 I enjoyed trying on some Korean garb (below) at the culture market. Most of the people I met were very gracious—especially when I left my iPhone at a 7-Eleven. I’d snapped a picture of some curious-looking coffee drinks, then absentmindedly left it on the table. I didn’t realize it was missing until I was at the conference center, and miraculously a woman at the registration desk called my hostel owner, asked him to walk across the street to the 7-Eleven, and get the phone from the employee, who had found it and kept it. I’m not sure if that would have happened anywhere else! I had one day to spend in Seoul, which reminded me of New York. I saw some of the royal palaces (including Gyeongbokgung Palace, below) and explored a few of the street markets. I was happy to see that South Koreans are as obsessed with coffee shops as I am, although I have to say that a sweet potato latte is probably the grossest coffee drink I’ve ever had! My next long trip is stateside—to Texas, where I’m excited about camping at Big Bend National Park, one of the country’s least visited parks. In May I spent a week roaming Florida during the Scripps Howard Institute on the Environment and Science. I was happy to get out of my office seat for a few days and learn about science in the process. Most of our activities took place at the Florida International University campus in Jupiter, where several scientists gave us presentations on topics ranging from sea level rise to coral reef ecology. To balance the science lectures, each day had a field trip—the first day, for instance, we canoed the Loxahatchee River, a National Wild and Scenic River. 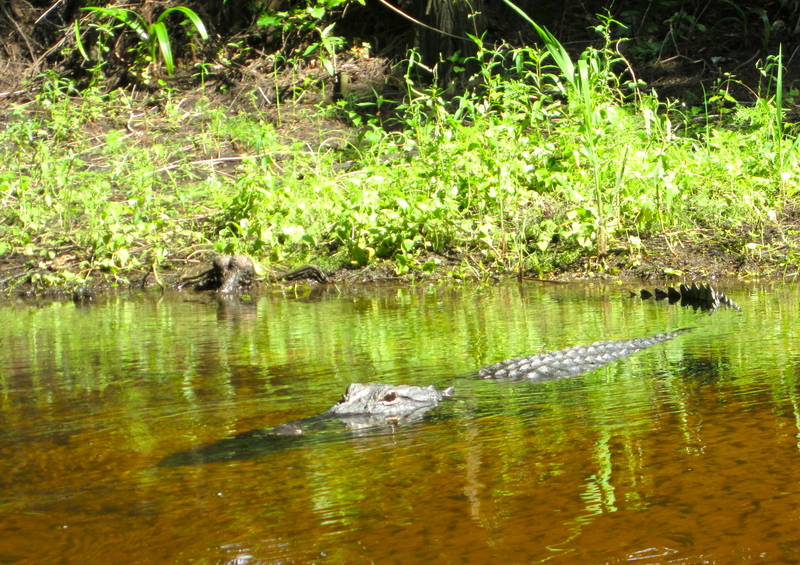 We encountered a few lurking alligators! 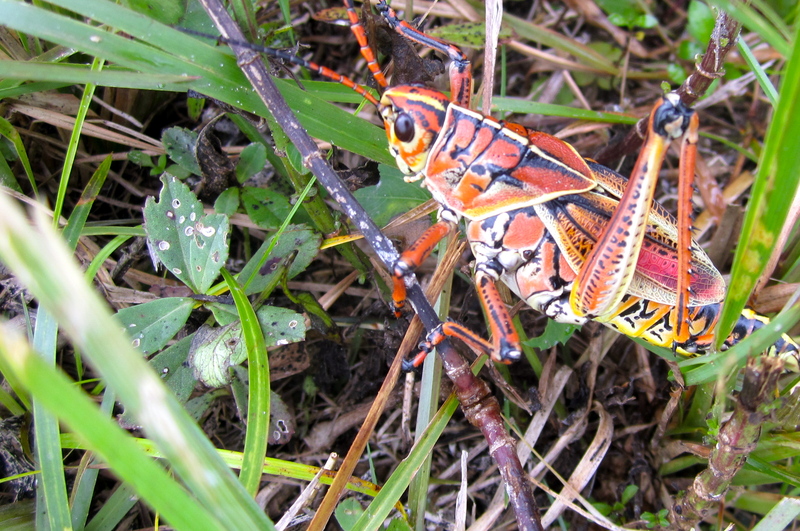 We also got lucky with wildlife during our visit to the northern Everglades, where we saw an endangered snail kite, several other species of birds, and a cool flightless grasshopper called a lubber. The most interesting excursion was to the Lake Wales Ridge, a section of scrub habitat that runs through Florida’s spine. I had no idea Florida had such an environment—it almost looked like southern California, very arid. 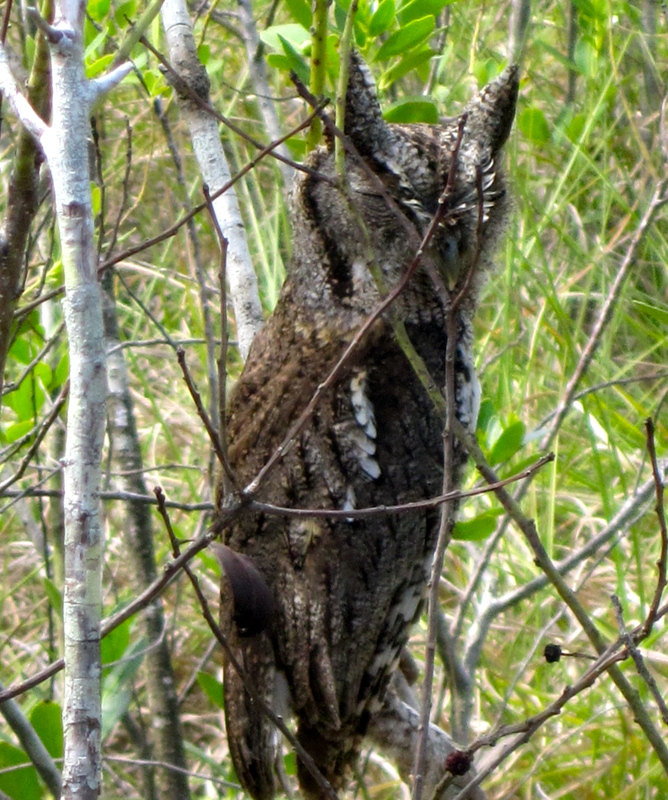 During our scrub hike someone spotted a napping baby screech owl, and many a scrub jay (a bird native to the habitat) came to pay a visit. I also enjoyed spending a week with more than 20 science journalists of various media and backgrounds—some of whom were old friends! I was walking (OK, trudging) along a rainy city street a few days after Christmas when the storm suddenly cleared, right at sunset. 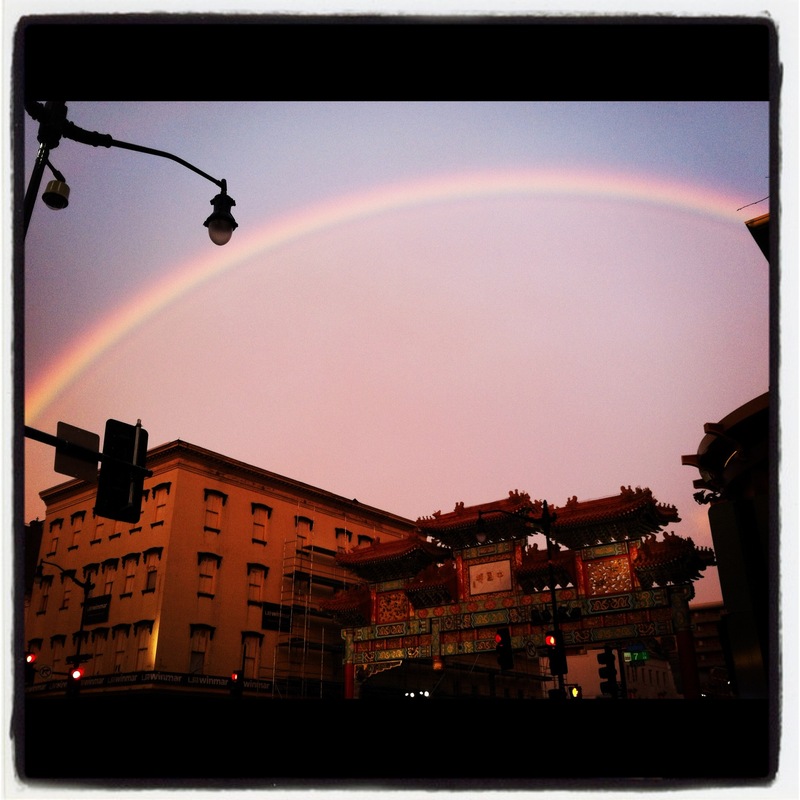 The clouds turned stunningly rose-gold, and, much to my surprise, a rainbow arced over the Chinatown gate. My fellow Washingtonians and I indulged in some childlike glee as we stood on the sidewalk, snapping the phenomenon with our smartphones. I’ve never seen anything like it in the city; the last time I remember seeing such a prominent rainbow was on a muddy horseback ride in the Irish countryside more than a decade ago. 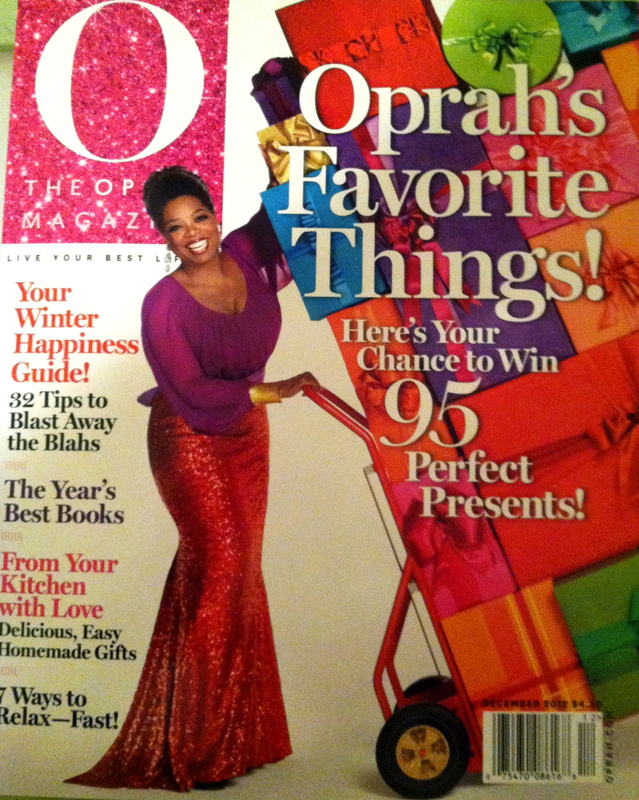 I couldn’t help but think it’s a good omen on the cusp of the new year! This is my first blog entry on my new website—I finally decided to create my own little corner of the Web. 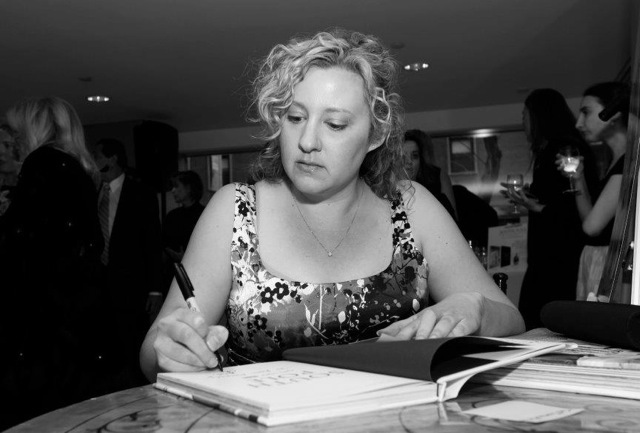 I hope to post some fun musings about my stories, travels, and more. Stay tuned!